It happens around the time you decide you’re going to tackle the 48, 4000-footers in New Hampshire. You start fantasizing about the end and how it will feel taking those final steps to the peak of your 48th mountain. Then the question occurs to you: which mountain will be my 48th?? To date, I have finished 23 of the 48, and only on one of those peaks did I meet a person who had just finished their 48th. It happened on Mt. Carrigain. That’s when I learned that most people save Carrigain for last, and being up there, I could see why. The views on Mt. Carrigain (if you’re lucky enough to have clear skies like we did) are out of this world. 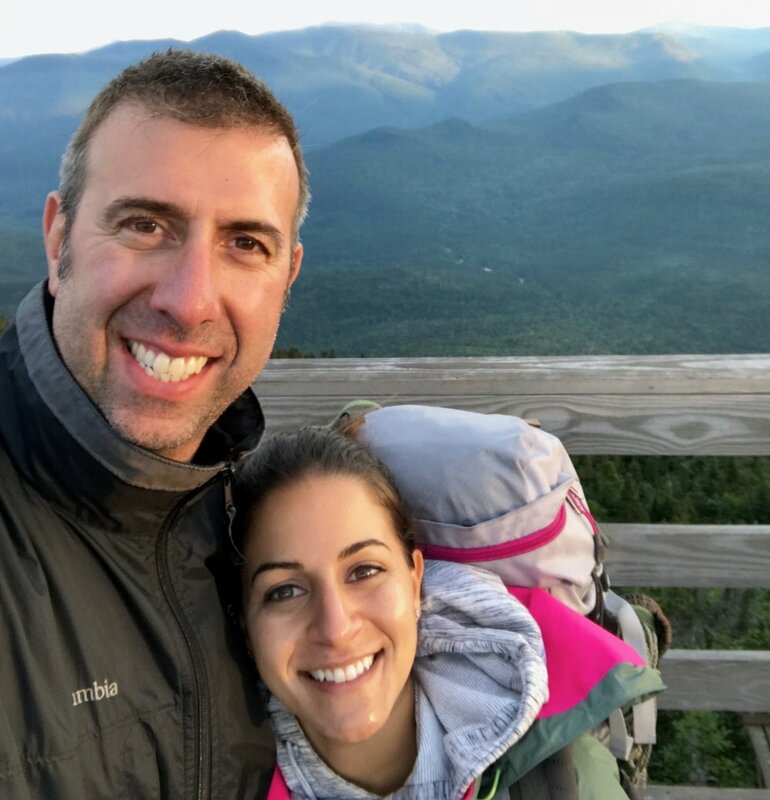 There is a fire tower on the summit that gives you 360-degree views of the surrounding White Mountains. It’s INCREDIBLE. My boyfriend and I hiked Carrigain at the peak of the annual Perseids meteor shower, hoping to catch a spectacular show from the top of the mountain. On the way up, I distinctly remember thinking we were nearing the top only to reach a false summit which proved to be a great spot to stop for lunch. From there, we could clearly see the fire tower in the distance where we would be spending the night. It looked SO far but as I’ve learned through many such moments, it’s not really as far as it seems. We ate and enjoyed the silence around us and the stunning view before heading towards the summit of Carrigain. I took a video at this spot and sometimes I play it just to relive the quiet serenity and beautiful view. see the fire tower? it looked so far! Once we got there, I raced to the top of the fire tower and marveled at the view as he checked out the area around below it. 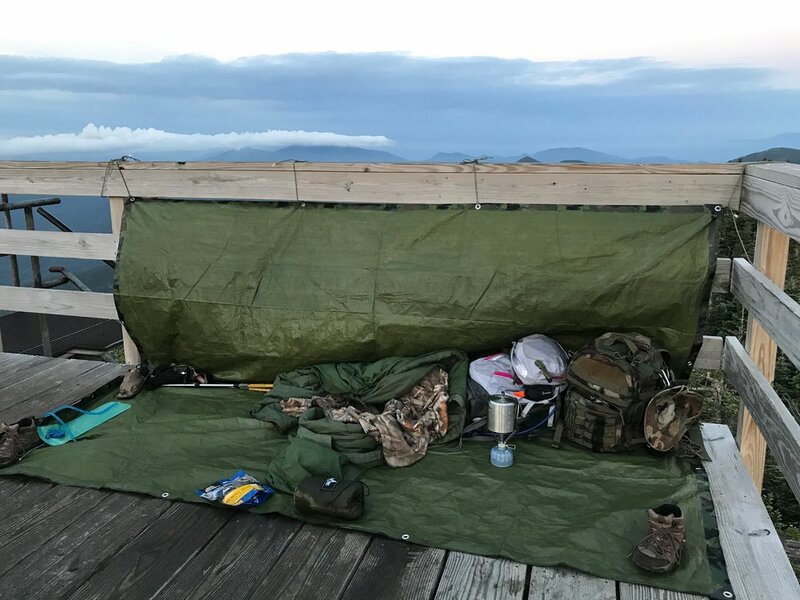 We set up a tarp to block the wind on one side of the tower so we could cook our dinner and have our things protected. Mt. Carrigain was the first place I can remember feeling extremely claustrophobic, and this was because we chose a hammock as our sleep system that night. I had slept in a hammock before, but because the wind was serious that night and moisture from the air was surrounding the hammock, the hammock had to be closed in on top of me and I started freaking out a bit and was sure this would be the place where I die. I felt like I was in a coffin. My boyfriend set up the tarp around the hammock to protect us from the moisture and that helped quite a bit, but because of the wind etc. we couldn’t really see much of the meteor shower action going on above us. It was probably one of my most restless nights in the mountains, but the view in the morning was more than worth it. 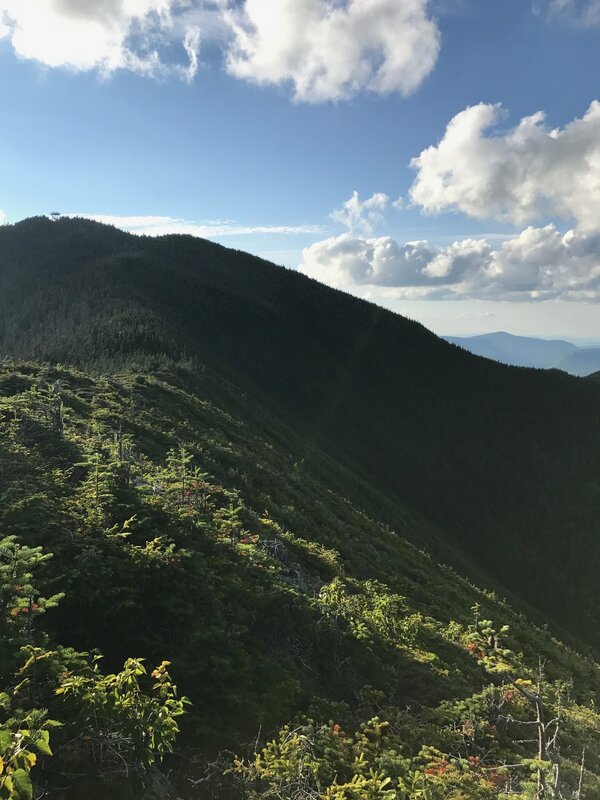 We had shared the summit with a couple that night (who had brought a tent), and the woman had just completed her 48th 4000-footer. She said a lot of people save Carrigain for last because of the views. The sun was coming up over the mountains and created the most beautiful sunrise I have ever seen. I look back on the pictures from that hike and I still can’t believe how beautiful it was. I mean look at those colors! It was the most beautiful sight to wake up to. We enjoyed some breakfast (thank you Mountain House) and snapped a selfie before heading back down the mountain. I’m not sure which summit will be our last of the 48 but we’re thinking Mt. Isolation. We might have to do Carrigain once more after we finish just to enjoy that view again!